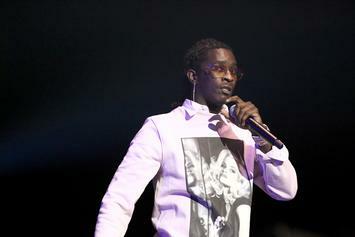 Young Thug Claims Lil Wayne Is Trying To Sue him For "Barter 7"
Thug gives an update on "Barter 7." 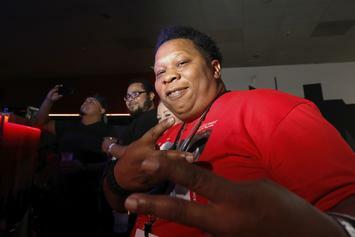 Mannie Fresh says some of the leftover collabs that didn’t make "Tha Carter V" will eventually see the light of day. 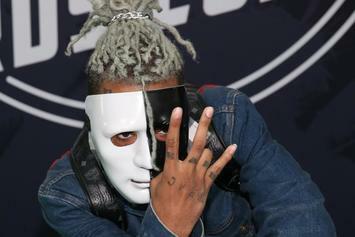 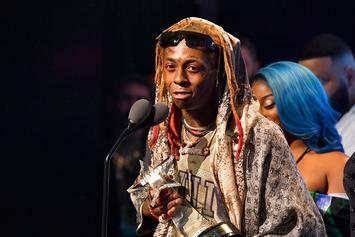 Lil Wayne says it was all Mack Maine's idea to have XXXTentacion featured on C5. 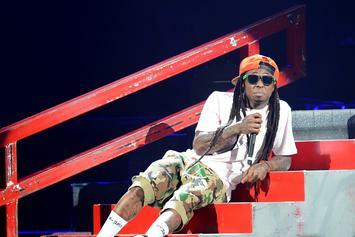 All of the "Carter V" merch has been restocked. 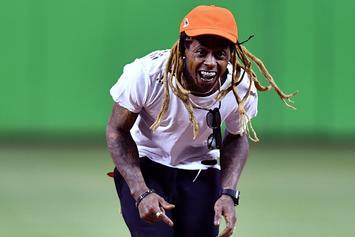 Lil Wayne says "clearance issues" was the reason Drake wasn't on "C5." 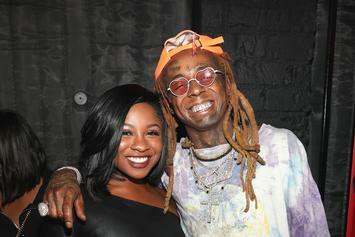 Lil Wayne's "Tha Carter V" Day 5 Merch Is All About "Ignored Prayers"
Our prayers were certainly not ignored. 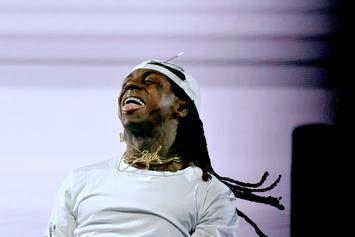 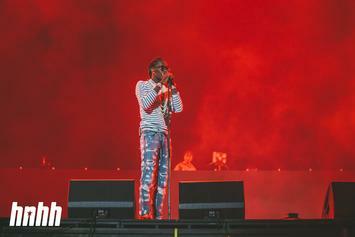 Upon escaping Purgatory, Lil Wayne's "Tha Carter V" is enjoying the simple pleasures of Earth. 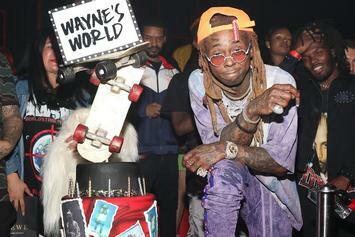 Lil Wayne collaborates with Advisory Board Crystals for his third "Carter V" merch drop. 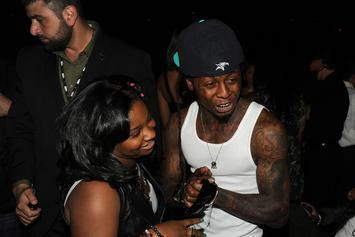 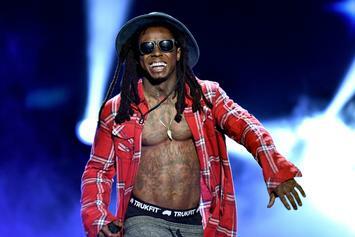 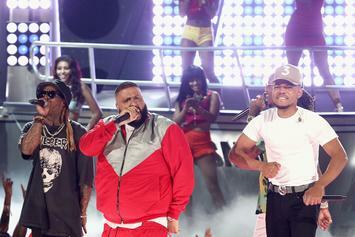 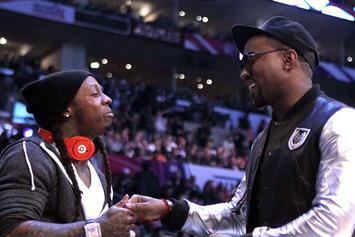 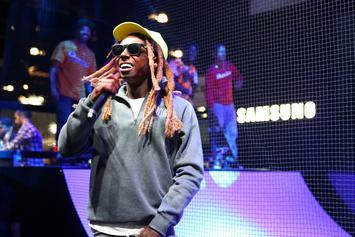 The third stage of Lil Wayne's illustrious career has been set: from goon, to goonie, to gooniest." 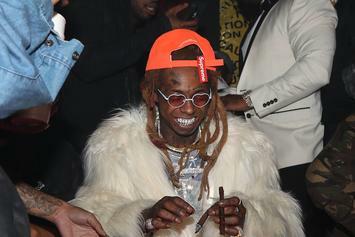 "Barter 7" is apparently arriving "in moments." 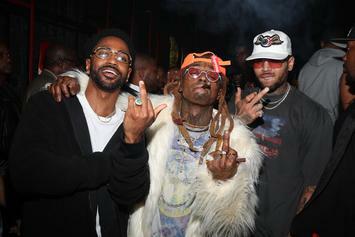 Big Sean wants to link up with his boys in the studio. 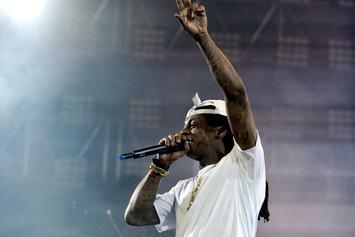 Chance the Rapper give Weezy the props he deserves for elevating his career. 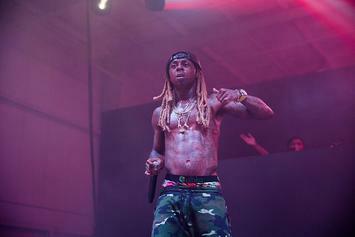 Lil Wayne will be performing at the ACL Festival this year. 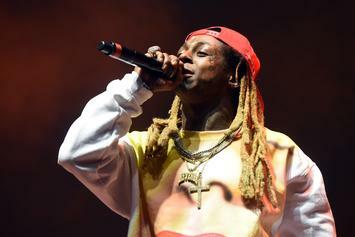 Lil Wayne dropped a fly new crewneck commemorating his "Carter V" launch. 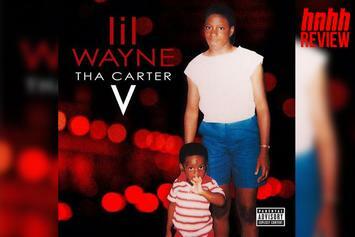 Drake, Nicki Minaj, The Game, and others reacted to the release of "Tha Carter V."
Lil Wayne drops off "Tha Carter V" featuring Kendrick Lamar, Travis Scott, Nicki Minaj, XXXTentacion, & more! It's finally here! 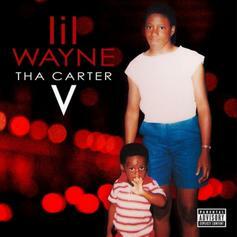 Listen to Lil Wayne's "Carter V" album, featuring Kendrick Lamar, Nicki Minaj, Travis Scott, XXXTentacion & more. 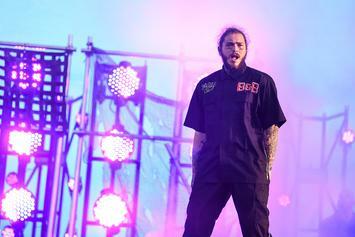 Post Malone reportedly finished his verse last night. 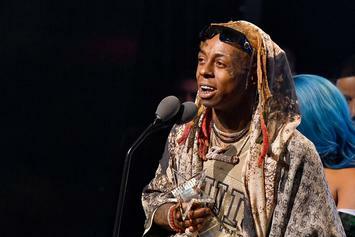 According to a report, XXXTentacion will be featured on "Tha Carter V."
Promo billboards for Lil Wayne's "Carter V" have started to pop up around NYC. 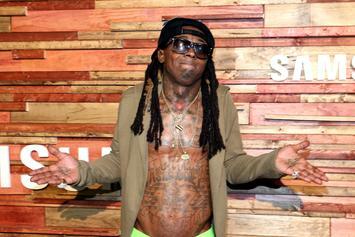 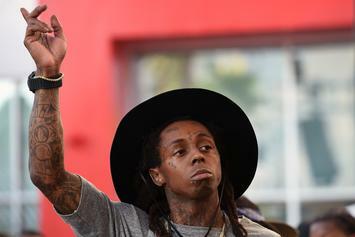 Lil Wayne is collaborating with 14 designers on a limited collection of merchandise.